Makar Sankranti festival is right around the corner and there is no perfect time than now to indulge in some kite crafting fun with kids. If you have been looking for kite craft ideas, then you have come to the right place! 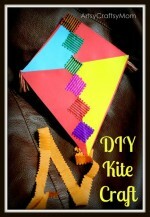 We have compiled some of the coolest kite craft ideas from around the blogosphere right here in this blog for you. It’s sure to pep up the kids this Spring season. 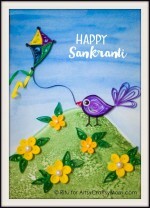 Make a Popup Kite Card for Spring or Sankranti. 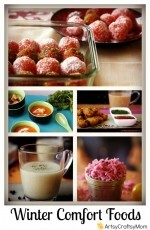 See the video tutorial on our blog. Grab this idea of making your own finger kites at home from That Artist Woman, so that kids can enjoy flying their kite as simple as that! How about a DIY bright stained glass kite craft to decorate your windows? These kite shaped sun catchers by Make and Takes will brighten up your days with light and warmth. 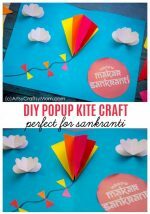 This is yet another perfect Sankranti Kite Craft by none other than ArtsyCraftsyMom, which you can make at home with straws, paper ribbons and strings. Kathy from Thrifty Scissors has shared an amazing project of handmade butterfly kite for small kids in her blog. Paper Bag Kite Craft – I absolutely love child led art and this paper bag kite craft allows preschoolers to decorate their kites however they wish! Add some streamers, string and a craft stick and you are ready to fly a kite! – This simple paper bird kite craft is similar to the first one I listed- but with a feathery and colorful twist! Get step by step picture directions on how to make this very easy bird kite. Make a Kid’s Kite Chain with drinking straws, paper and glue as in Creative Jewish Mom. Its indeed a great craft idea, especially for small kids. you can’t fly your kite outside, you can still have your very own kite celebration at home! And to this end, we have an all-new craft for you – a DIY Kite Mobile! This is my favorite one – A cute Owl kite craft from Made for Mums. This would need some parental help, but the effort is worth it when you see those young happy faces. Here is another creative paper kite craft by the popular How Stuff Works team with downloadable bird kite template. Kids would definitely love to make their own versions of bird faces, or rather a whole flock of birds ready to fly. 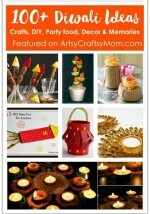 Hope you liked the kite craft ideas mentioned here. These are perfect for activities for Alphabet learning – K For Kite, Spring crafts & lots of outdoor Fun. 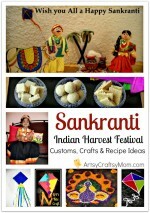 Wish you a Happy Makar Sankranti! May this season bring you happiness, health and good fortune to make you fly high like a kite.